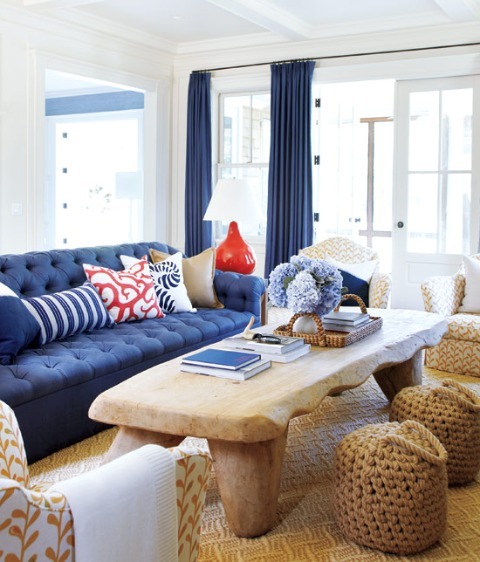 This glamourous yet livable beach house in the Hamptons was created by interior designer Amanda Nisbet. Each room is carefully crafted to be reflective of the beach and traditional seaside design without having the home scream nautical. 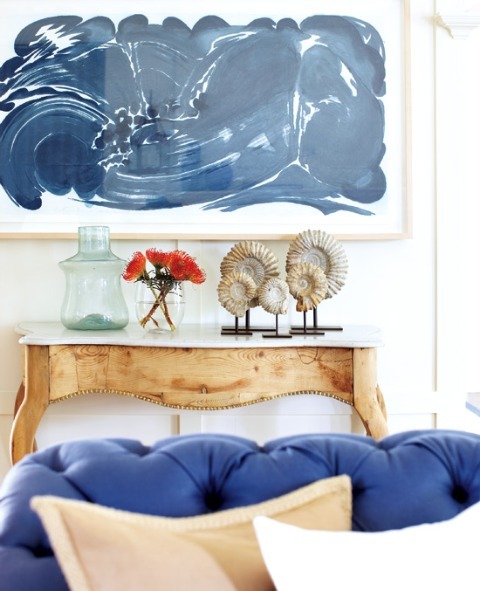 I love the focal point this table provides in the entry way. 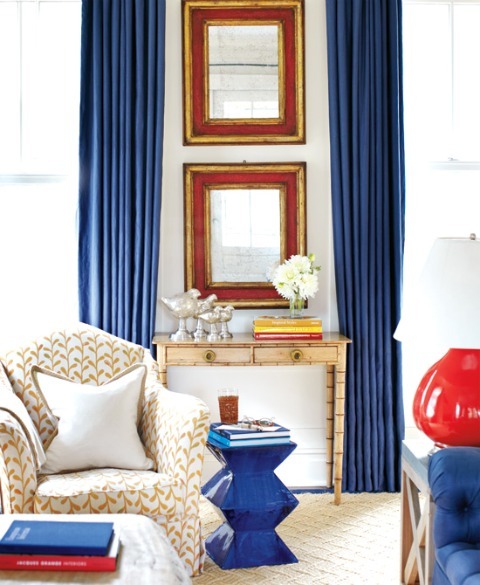 It mimics the circular motion of the space but also provides to hard lines to add contrast. Also, notice how the abstract pattern on the table skirt can suggest coral without making the entry way pronounce "beach house." I love this abstract piece; it suggests waves and the ocean but it isn't the traditional, realistic rendition filled with sun, sand, and sailboats that you tend to find in seaside homes. The tablescape below also abstractly accentuate the feeling of the sea. I'm enjoying the combination of antique lanterns with the colorful abstract hung on the wall in the kitchen. I want to be sitting at this breakfast table enjoying my morning coffee and have a coastal breeze sift through the open windows. This looks much more delightful than the stifling heatwave in the city.